The Huawei Mate X and Samsung Galaxy Fold — two of the world's first foldable smartphones. But what is the difference? It’s almost here. The long-awaited successor to the hugely popular Huawei P20 Pro, one of the phones that really started to push Huawei into the mainstream. But what do we know about the P30 and P30 pro and what will they look like? Once again, we look into the latest leaks and rumours. As you have almost definitely have heard by now, Samsung are gearing up to launch the newest device in the Galaxy range, the Samsung Galaxy S10. But what can you expect to see? We take a look at some of the latest rumours and supposed ‘leaks’. Thursday 27th December - 10am to 3pm – Next Day Delivery if ordered by 3pm. It’s that time of the year where new mobile phones and tablets are being released everywhere you look. Samsung are due to release their new offering, the A9, sometime in November. Huawei is announcing the arrival of their newest device may just be the biggest thing since the P20 Pro! Huawei’s latest mobile phone the Mate 20 Pro is the advanced version of their earlier release the Mate 20. Announced this month and is ready to pre order for the price of £860 in the UK. We now have confirmation that the brand-new iPhones will be released within the next two months. There are not only one or two new phones, in fact there is three brand new iPhones being released. How fantastic is that? Almost everyone uses Instagram these days. Whether it is uploading photos of your cat, or filming a gig, it’s a huge presence in the social media market. Instagram seem to be looking to expand even more to take a piece of Youtube’s monopoly, by allowing longer videos to be uploaded to the platform. Now we have confirmation that the S9 and S9+ are available for pre-order, for release on the 16th of March. So, should you get one on release? The Samsung S9 and S9+ at first glance, don’t look too dissimilar to the previous iteration of Samsung’s S range, the S8 and S8+. It’s when you take a closer look at some aspects of the phone, you notice the real differences. Although the rumoured release date for the SE 2 is up in the air currently, this hasn’t stopped the rumour mill from churning. 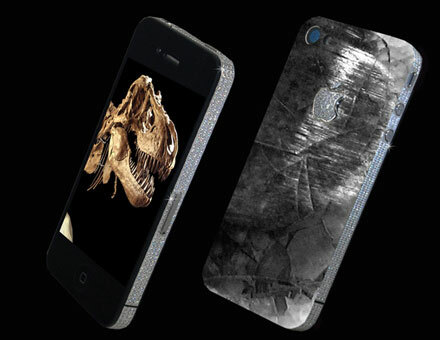 There are plenty of concepts and ideas flying around and we will look at one of the most interesting designs. With the announcement just around the corner on February 26th, the world is preparing for the next Samsung Galaxy phone to be unveiled, the S9 and S9+. 2nd January – Back to business as usual! Win a Fantastic Bundle of Samsung Products! Promate premium touch controlled Bluetooth Speaker. Make your Christmas extra special by getting involved! There are also discount vouchers available to a few runners up, so don’t delay! Christmas is getting nearer and nearer, and time is running out to get that perfect gift! Luckily at 4Gadgets, we have you covered. We have extended our returns policy up until January 9th! Meaning you can return any order for a different device or a full refund, anytime between now and January 9th (usually 14 days only). Ideal for getting that early Christmas present sorted and covering you for longer, for any last minute changes of mind! Let us help make someone’s Christmas and give your loved one a gadget they won’t forget. Black Friday is here, and we are delighted to finally unveil our amazing offers and savings. With discounts, vouchers and competitions, it’s going to be our biggest giveaway yet! Starting Black Friday, the 24th November. Firstly, we are offing a HUGE £25 off of EVERYTHING on the site! Been holding on for an amazing price on a certain device? Now is the time to get it. JUST USE CODE "25BLACKFRI" AT CHECKOUT, TO GET YOUR £25 OFF! Black Friday is Almost Here. Get the Best Deals on the Best Phones. Only at 4Gadgets. Black Friday is almost upon us. As you already know, Black Friday is Synonymous with fantastic deals, and at 4Gadgets, we are no different. If you are looking to change your phone or grab a bargain for a Christmas Gift, then this is the best time! As always, our devices ALL come with our 14 day no questions asked returns policy, as well as a HUGE 12-month Warranty, giving you peace of mind, all year round. Our deals will be announced imminently, but keep your eyes peeled for fantastic savings on devices from the likes of Apple, Samsung, Google and Sony, as well as many others! The Google Pixel 2 XL – The Best New “Phablet” on the Block? Google recently released the Pixel XL 2, their newest attempt at a top of the range Premium Smartphone. After all the rumours and speculation before release, is the new Pixel 2 XL an improvement on the Pixel XL? What are the differences between the two? One of the best new features that Google have embraced is the ‘Always on Display’, also recently adopted by Samsung and other manufacturers. This is a welcome addition to the Pixel 2 XL and even features a mode that shows you what song is currently playing in your vicinity. Another interesting feature is the ‘Active Edge’, which enables you to launch Google Assistant by simply squeezing the edges of the device. Phone Cameras – What are the Best Options on the Market Today? More and more people are using their phone as their main camera. With cameras in Smartphones becoming increasingly powerful, we take a look at a select few handsets that have great cameras with unique features. With the Apple Watch 3 hitting the market recently, interest in the Smartwatch sector is at an all time high. We have a look into the Apple Watch range, and see why having one of these devices can supplement your everyday life. At its most basic, a Watch is designed to simply display the time to the wearer. The Apple Watch complies with this trend, with the screen flicking into life with a twist of the wrist. But as this is a Smartwatch it's understandable to expect more, which is where the Apple Watch really comes into its own. Our Gadget of the Week is the Sony Xperia XZ Premium, Sony’s newest flagship device. Looking to compete with the giants within the Smartphone market, Sony have decided to pack this device to the brim with top-end technology, encased in a sleek and beautifully designed shell. The specific unique feature of this device is something Sony call “Motion Eye”. The XZ Premium can record video at an astonishing 960 frames per second, meaning you can record in super slow motion and Sony state this is 4x slower than any other Smartphone on the market today. Great for anyone that loves to shoot video on their Phone. After a rocky few years for Samsung's Note range, the newest iteration arrives: The Note 8. Sporting the same 'Infinity Display' as the S8 and S8+, the Note 8 is a sleek and practical addition to the line-up. The most striking thing about the Note 8 (also the S8 and S8+ for that matter) is the screen. Samsung state that the Note 4 boasts a 83.2% screen to body ratio, which when coupled with its AMOLED 521 pixels per inch LCD, gives a vibrant and vivid display with no bezels. Apple have recently officially unveiled this year's efforts; the long-awaited iPhone 8, iPhone 8 Plus and iPhone X. With various new features, we compare the differences between them. First of all, the iPhone 8 and 8 Plus are essentially the continuation of the iPhone range you already know and love. Similar in aesthetic to the previous models, it's more of an internal upgrade to the range than anything drastic. The iPhone X is something else entirely. Over the years we’ve come to terms with phones that hold their value well and generally maintain their visual and practical aspects. The Samsung Galaxy S6 is definitely a model that ticks those boxes and is still a very popular phone today, which is why we have plenty of second hand Samsung Galaxy S6 in stock! So here it is guys, our gadget of the week is the Samsung Galaxy S8/S8 plus! Since its release back in April it has received nothing but raving reviews. With its impressive specification and gorgeous looks we are happy to announce that we are currently stocking the S8 and S8 Plus in grey orchid or black. Check out our website for a range of conditions and unbeatable prices: Samungs price: £689.00 / View our prices for the S8 Here. As of the 14th June 2017, 4Gadgets are giving away an exclusive Samsung BUNDLE which includes a Promate Bluetooth speaker with all accessories included. This post will provide an overview of each Samsung product so you know exactly what's up for grabs! With just over 4 months to go until the expected release of the iPhone 8 … What do we already know and what could we expect this Autumn? Bezels are fast becoming history with every new phone shaving off a little bit each year and so far this in 2017 they’ve been reduced to tiny strips at the top and bottom. 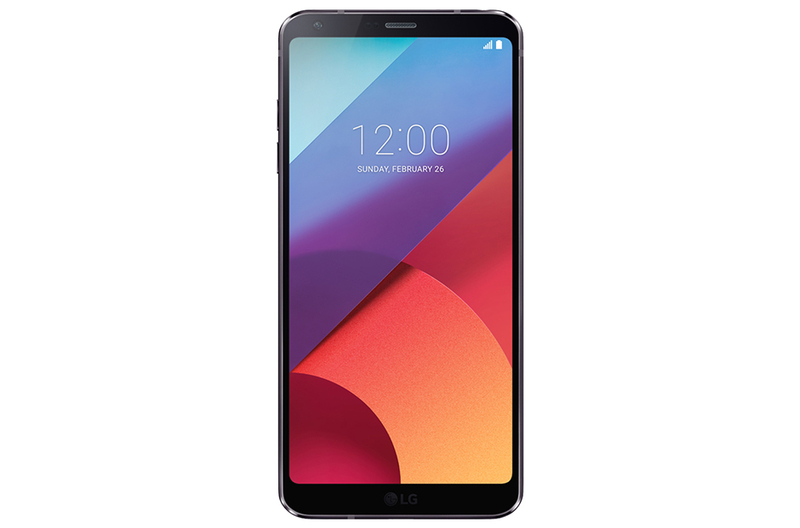 With the release of the Samsung S8 and S8 Plus and their ‘infinity’ display and news that the iPhone 8 will have the biggest display it’s ever had, LG have followed suit with their G6. The new model hosts a 5.7in display and a glass front and back cover giving it a smooth finish. 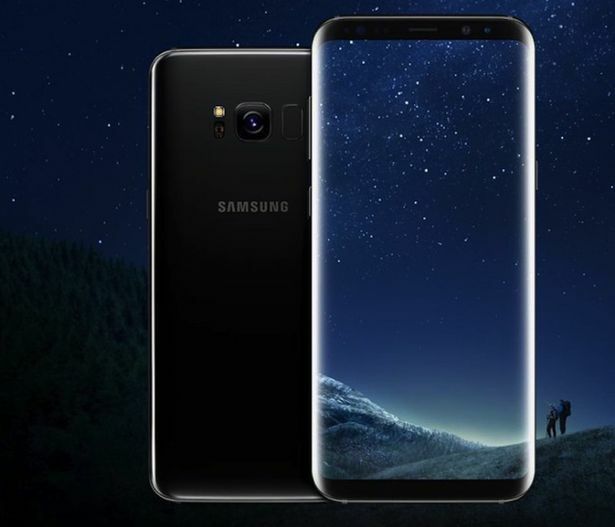 The Samsung Galaxy S8 has finally been unveiled after months of speculation and there is lots to discuss about the new handset and its fantastic new features which will be available to purchase 28th April. With the new release, check out our range of affordable Samsung Galaxy S7 and S7 Edge for a top smartphone with a low price. With the news this week that Apple in partnership with (Product) RED have released a scarlet version of the iPhone 7 and 7 Plus, 4Gadgets have compiled a list of our five favourite Special Editions, both good and bad! Red, which was founded by U2’s Bono, have joined forces with the smartphone giant in a bid to eliminate the AID’s virus from the world with a special edition that could bring some credibility to what can sometimes seem like a pointless gimmick. If the reports are to be believed then smartwatches could be about to play a bigger role in the world. According to global market intelligence firm IDC over a 100 million units were sold last year, which is a 25% annual increase and a big reason why many of the big fashion brands are now joining the trend. The demand for wearable tech is high with many wanting to get outdoors without the need to take their handsets and risk losing or damaging their phones. 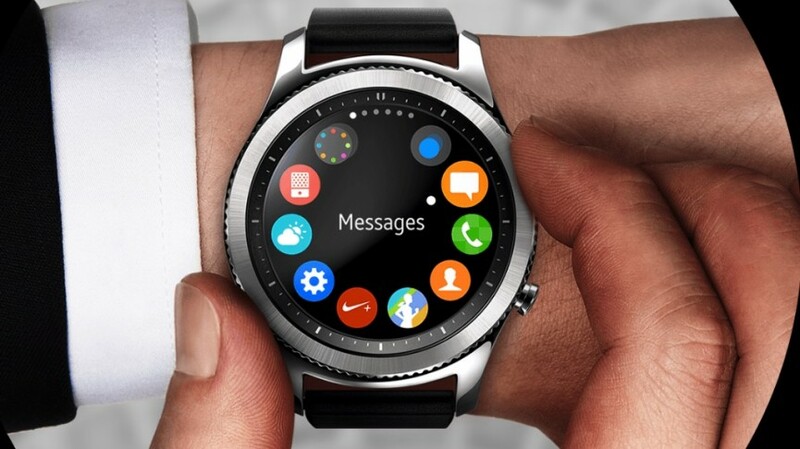 Durable, water-resistant and innovative smartwatches have finally become important. Here we look at the best three smart wrist wear on the market. A second hand Samsung S7 Edge + is currently £369.99 on 4gadgets. If you want it box fresh you’ll have to fork out an extra £227 as the handset costs £597 brand new, which isn’t very wallet friendly. Price is the obvious place to start really, when you think about it, some of the latest models can cost over half a month’s wages to the average person. It certainly pays off to be a little patient and less particular about someone else having previously used the phone you want. Keeping secrets is virtually impossible these days. Samsung recently found this out after details of their much anticipated Galaxy S8 found its way onto the web. However, the leak may have worked in their favour as many of the new features reported have caused quite a much needed buzz for the Korean giant. There has been a delay in the unveiling of the new flagship handsets to the 29th March with worldwide release on the 21st April. Samsung have redesigned their A-series of phones yet again for 2017 and they are looking really cool. New models of the A3, A5 and A7 will borrow some of the new features from the flagship S7 and will be made to look more modern. 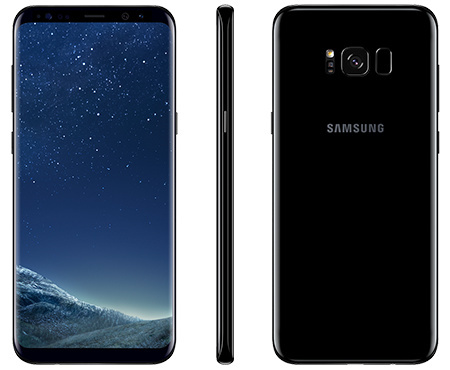 Although Samsung have announced it will be bringing them out this year, they have yet to confirm a release date for the UK or give an idea of pricing as of yet. Improvements to the cameras, storage and display have been made and they will also now all come with waterproofing as standard which is a welcome change. The most anticipated device for 2017 so far, The Samsung Galaxy S8 looks as if it will be released in a standalone event in New York later in April, if reports from South Korea are true. This means that Samsung would break from the traditional reveal date at the Mobile World Congress trade show in Barcelona in February. Despite the rumours of a delayed release, avid fans are patiently waiting for the new flagship device to land in stores. Featuring Samsung’s most advanced hardware to date, with an enhanced camera and super high definition screen, the S8 should be one of the top devices on the market. Mobile phones are a huge part of our lives now but it’s surprising at some of the things we don’t know about them. Just take a look at 30 interesting facts below. The Highest ever mobile phone bill was $201,000 and was charged to Celina Aarons. Celina’s brothers were deaf and mute and so communicated via text, one brother sent over 2000 texts and downloaded videos at a cost of over $2000 per vid whilst on a trip to Canada. It’s been a mixed year for Samsung, with the huge success of their Galaxy S7 and huge failure with the Note 7 overheating and blowing up. However this hasn’t deterred their customers and many eagerly look forward to the new flagship phone, the S8. There are very few facts about the S8 yet but many rumours have been floating about. Boasting of improvements to the design, the processor, the screen and even the Selfie cam…finally…..
We have all been sat there with family and friends, stuffed from overeating and probably a little merry when someone suggests bringing out the same old board games…. This year why not change it up a bit and play some family games using your phone or tablet instead? There are some really fun and affordable apps around that can give hours of entertainment and some laughs too! Here are our top 5 and hopefully at least one of these will spark your interest. We all want our phones to stand out and have cool accessories, but some of the things on sale are just weird. Take a look at 12 of the strangest ideas we have found for you. Another Selfie stick adaption, this one allows you to broadcast or record interviews and vlogs and even comes with a reporter style microphone. A metal headband that stretches over your head to hold your phone for you. Surely Bluetooth is a better idea?